Member Recipes - A place to share our favorite garden produce recipes. Members who want to share please email in your favorites. 3. Add the Brussels sprouts and continue to cook, tossing constantly for another 4 minutes. Stir in the flour and toss to coat the Brussels sprouts. 4. Gradually stir in the heavy cream*, light cream, and Marsala. Reduce the heat and simmer until the sprouts are barely tender, about 5 minutes. Add the nutmeg and season to taste with salt and pepper. Stir in 1 cup of the Parmesan and cook until the cheese is melted. remove from heat. 5. Transfer the mixture to a shallow 9 inch square gratin dish. Top with the remaining ½ cup parmesan. Bake until bubbly and the top is slightly browned, about 20 minutes. Serve hot. Makes 10-12 servings. 1. For dressing, in a medium bowl, whisk together the oil, sugar, vinegar, and the seasoning packets from the ramen noodles. Set aside. 2. In an extra large bowl, combine the dry ramen noodles, cabbage, almonds, carrots, green onions, and sunflower seeds. Drizzle dressing over the cabbage mixture. Toss to coat. Makes 8 side-dish servings. Chop the tomatoes and peppers very finely. Either by hand or in small batches in a food processor. 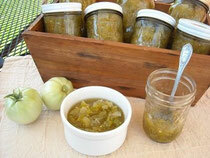 I diced up all my veggies only because I like a chunkier relish. Add the chopped vegetables in a large pot (heavy bottom non reactive pot) add the mustard seed, celery seed, vinegar, kosher salt and sugar. Simmer until the relish/chow chow cooks down and thickens into a relish, about 2 hours. Turn into hot sterilized jars and process in a hot water bath. 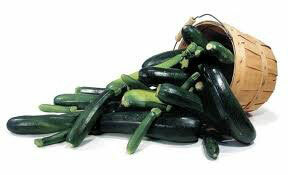 -PEEL AND CUT ZUCCHINI LENGTHWISE, STRIP OUT SEEDS, CUT IN 1/2" SLICES, COOK IN BOILING WATER UNTIL TENDER. Do not overcook. -DRAIN, COOL IN COLD WATER FOR 5 MINUTES. -DRAIN, ADD SUGAR, FLOUR, SALT, CINNAMON, CREAM OF TARTER AND LEMON JUICE. -POUR INTO A GREASED BAKING DISH (13X9" pan). -SPREAD DRY CAKE MIX OVER TOP. -DRIZZLE BUTTER OVER CAKE MIX. -BAKE AT 350F degrees FOR 60 MINUTES.